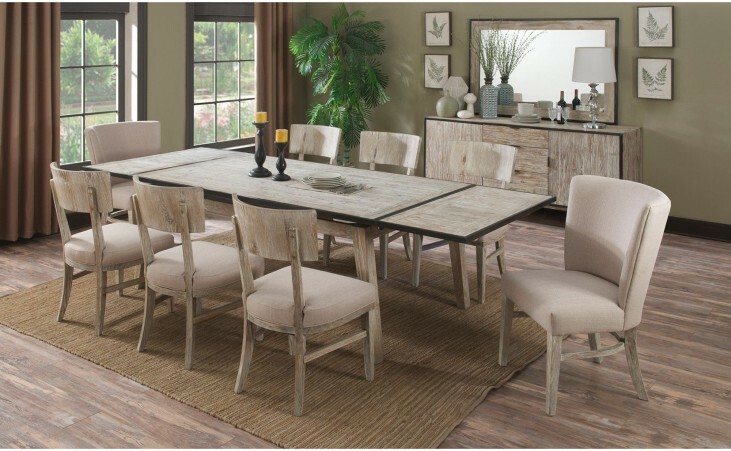 This Emerald Dining set is crafted from solid pine wood and veneers and features a pearl finish with a deeply distressed look and has a rich metal border around the table top. It will bring a modern/rustic look to any dining space. The table includes 2 end leaves. The set also features 4 polyester upholstered side chairs with deeply shaped backs and distressed legs and 2 upholstered end chairs.